Everyone is looking for power. Political campaigns play to the power of fear and hope; advertising agencies rely on the power of appetite, both wielding power by the means of words. But churches have something different and better. Churches have the gospel. Though we live in the world, we must not wage war like the world, or fight with its weapons. On the contrary, we have divine power to demolish strongholds. The gospel consists merely of words, but those words have the unexpected and underestimated power to create new life, to justify, to prepare a bride, to give the foretaste of glory. 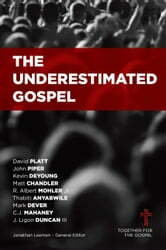 Christian conversion depends upon the underestimated power of the gospel. Authors Jonathan Leeman, R. Albert Mohler Jr., Thabiti Anyabwile, David Platt, Kevin DeYoung, Mark Dever, C.J. 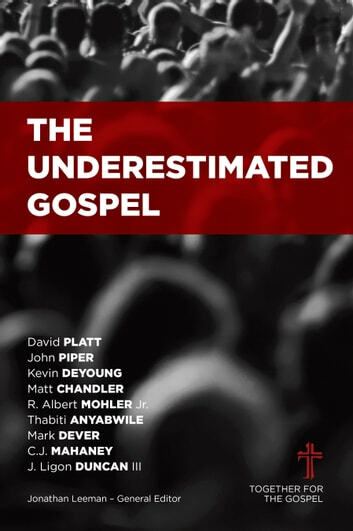 Mahaney, Matt Chandler, John Piper, and J. Ligon Duncan III call readers to herald a common refrain: Do not underestimate the gospel, and do not underestimate the God of this gospel.